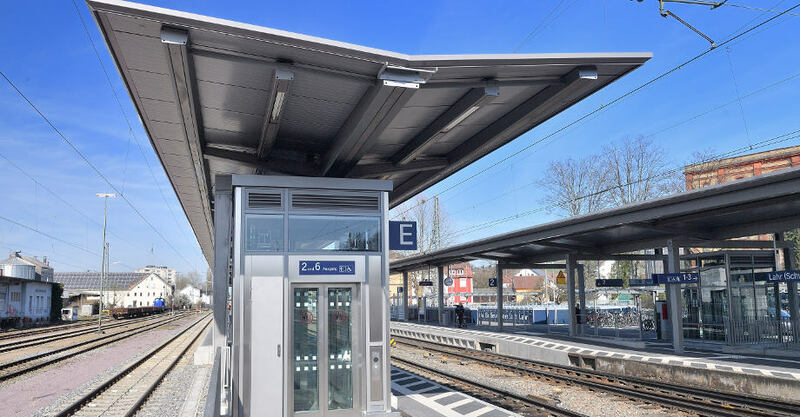 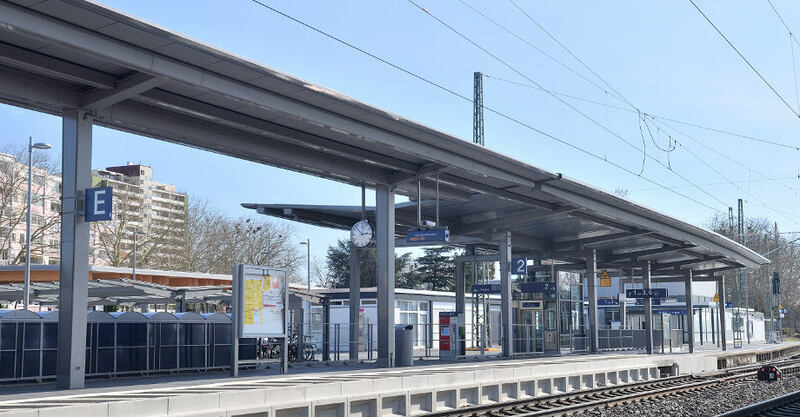 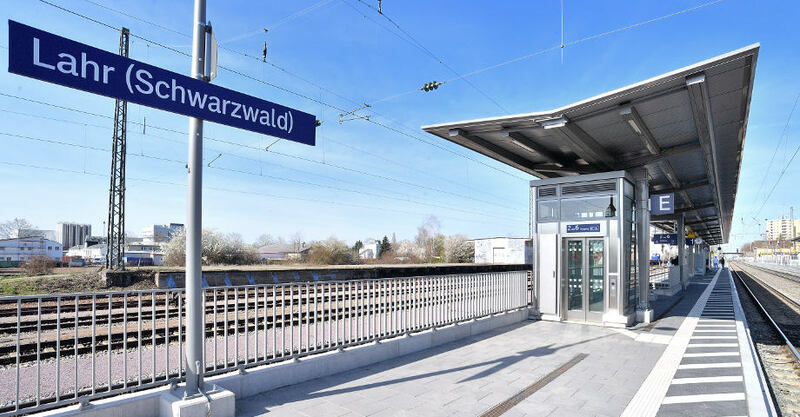 Two Hering Zwiesel-type roofs that are 85 metres and 90 metres long were erected at the railway station here. 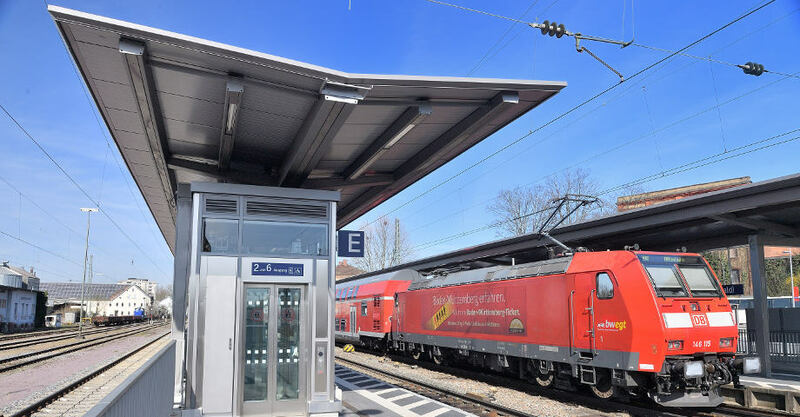 During the construction of the first roof, which was already built in June 2017, the components were delivered by truck; the construction work was carried out from the outside with a truck-mounted crane. 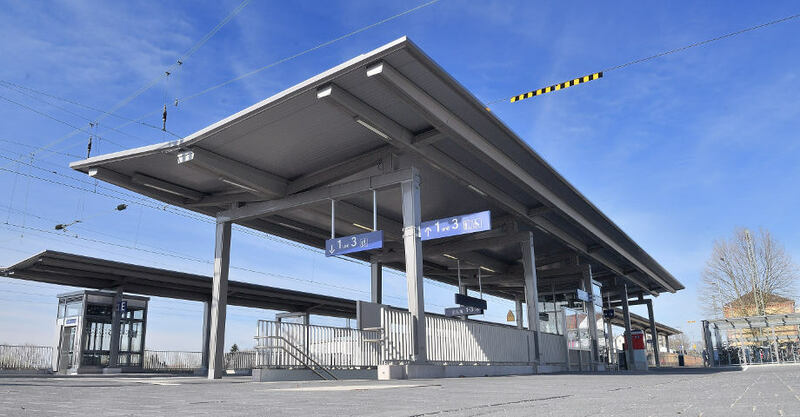 The second roof was built in autumn 2017 when one of the tracks was shut down and a road-rail excavator was used to install the components. 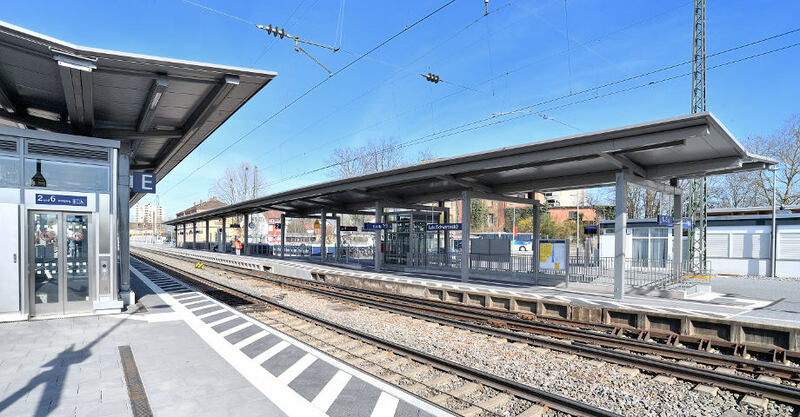 The work was carried out during nightly closures.